Cathy enjoys a varied career in the music profession performing regularly with the London Mozart Players, Rambert Orchestra and BBC Symphony Orchestra. Over the past twenty years she has toured and recorded extensively with the Academy of St Martin in the Fields. 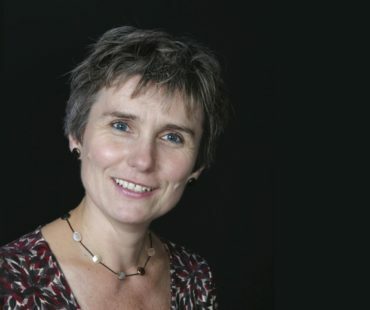 She teaches for the Junior Department of the Royal Academy of Music and has previously held positions at the Royal College and Guildhall School of Music & Drama. Cathy also maintains a lively private teaching practice. Many of her students play with the National Children’s Orchestras, National Youth String Orchestra and National Youth Orchestra. Past students now hold positions in major orchestras, work in the House of Commons and manage rock bands. Throughout her career Cathy has been involved in teaching, publishing and training teachers. She loves teaching and was one of the pioneers developing good pedagogic foundations for young bass players in the 1980s and 1990s. Cathy is co-author of Boosey & Hawkes’ Millennium Award winning Essential String Method and runs a small publishing company, Bartholomew Music Publications, specializing in music for young bassists. Cathy is a mentor for the ESTA Postgraduate certificate in instrumental teaching. In 2009 the International Society of Bassists recognized her as a Young Bassists Ambassador and in 2014 she received the ESTA award in recognition of services to the European String Teachers’ Association.